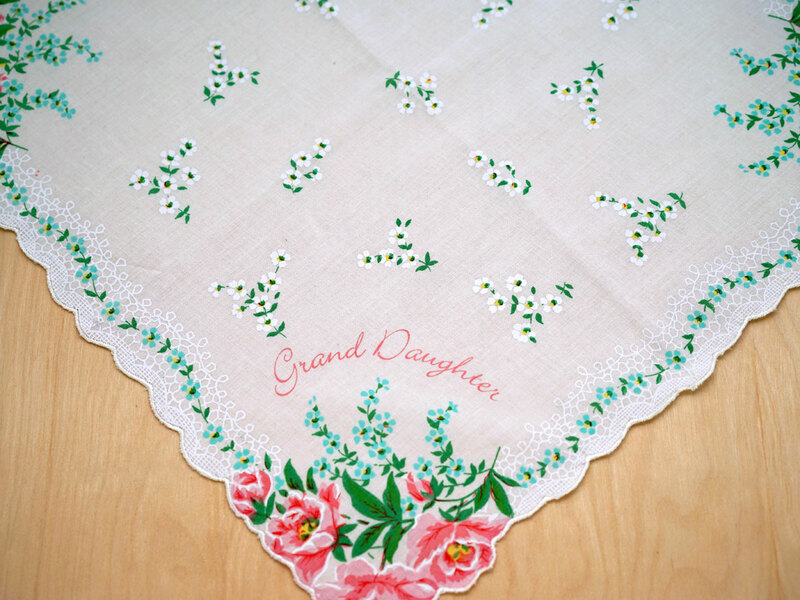 With the word "Grand Daughter" set against a white background, this new vintage inspired print hankie will make the perfect gift for your grand daughter. 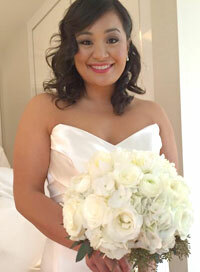 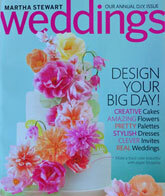 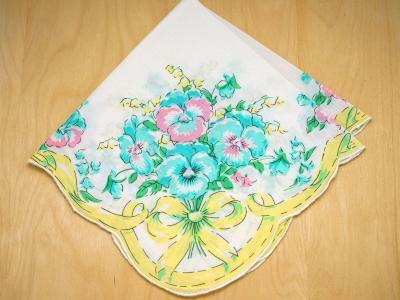 Each corner is also decorated with pink roses. 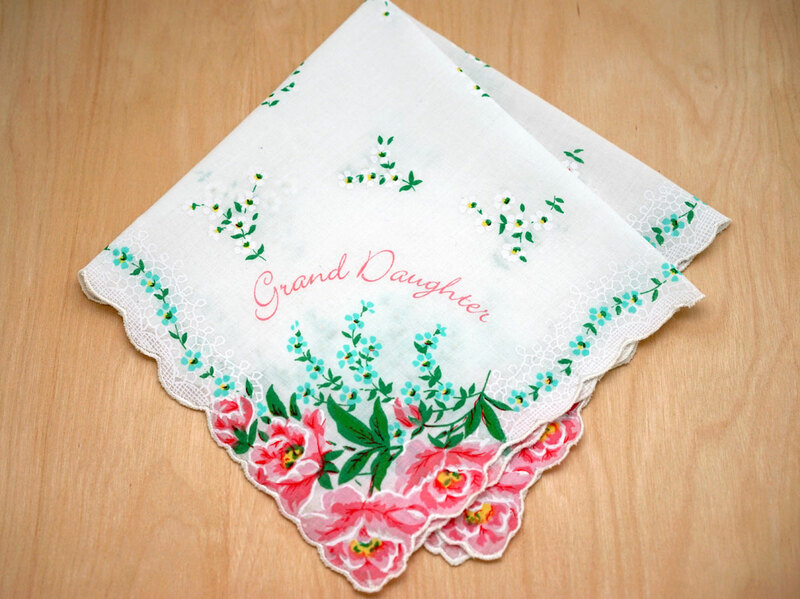 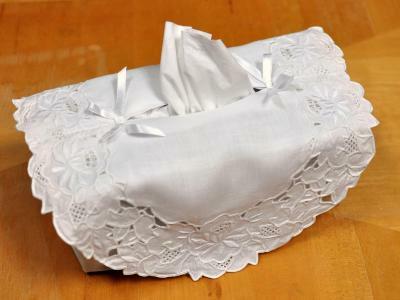 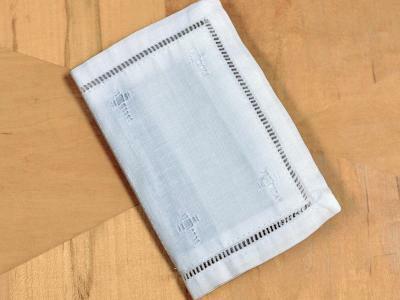 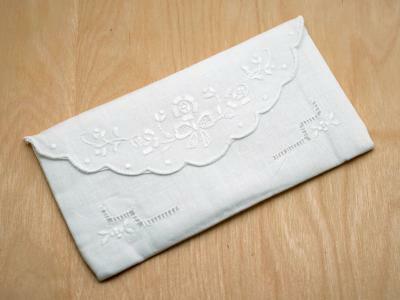 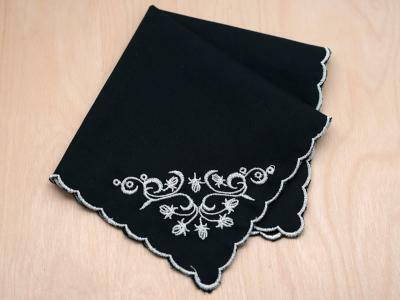 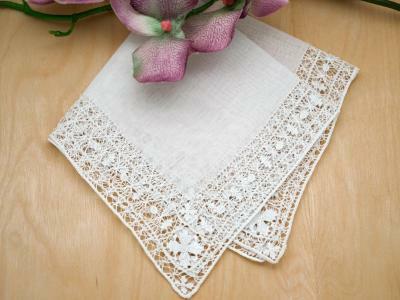 Your grand daughter will adore this special handkerchief made just for her.